kate Apr 03 2015 5:18 am Hwang dong-hyuk, my 13 year old daughter and I watched your movie, MISS GRANNY. We laughed, we cried....we loved the whole movie. The story was refreshing, cute, and it was wonderful. To see life from the eyes our grandparents. Thank you for a fun night for my daughter and I.
louise anne Jun 22 2013 5:10 pm it's encouraging to see very recent viewers other than myself (today) view and absorb this intense re-enactment of shocking true events exposing such inhumane acts of blatant and despicable abuse of power toward the innocent and most vulnerable that can be utterly and easily dismissed without a bit of shame. it was so heart wrenching and gut writhing whilst crying most of the time during the graphic depictions of such obscene violations that I found it humiliating that we can call ourselves a civil human race in charge and order of the nature of this planet, our home, the earth. my heart bled for those children, and all children who are raped of their innocence. how stupid of me to think it could never happen to deaf, mute, blind, disabled, maimed... ANYONE unable to protect themselves from such inexcusable violence. 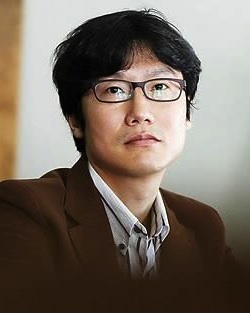 from the read of credits, GONG YOO was active in the pursuit of such exposure; and, I am interested in finding out if he has followed up on the children, the school, the current situation of things, and if will explore reaching out for whatever it takes to put an END to such an atrocity that was simply dusted under the carpet because powerful monsters exist. human civil rights are imbalanced worldwide, and may not even exist in some regions based on socioeconomic standards... it's unconscionable for this movie to have been necessary. this movie should mark everyone who watches it. I was moved by tears with these beautiful young souls cut from themselves because of their impoverishings because they had no one other themselves as institutionalized persons. has this case been pushed further upward by anyone? by the end of the credits, I got the impression that it was left unresolved, or still open, but not closed. can this be persued further? can justice be got? can respects be honored and pronounced to those violated both dead and alive and renounced to the world that this will never be tolerated under any circumstances in this brave new world? I raise my soju and pronounce my allegiance to any and all who will do what it takes to protect the innocent and innocense, vision/hearing/speech/physically impaired, of any age, and to demand the fullest persecution of the human monster, the ablest, most powerful, richest... who dare force themselves onto a weak lamb for such wicked purpose. i'm not educated enough in the (split) Korean governments to go about this, other than taking it the UN. and how can that happen? anyone exploring it? it just seems to me this is an insignificantly magnificent mustard seed.